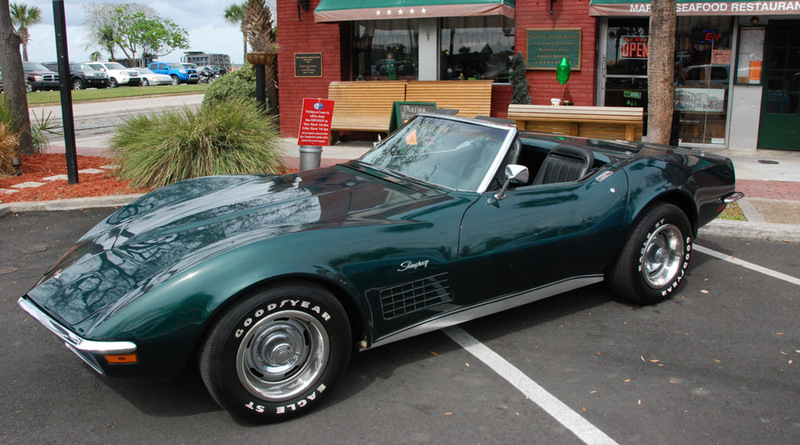 To learn more about the 1971 Corvette, click here. Shipping Weight: Weight of basic vehicle with regular equipment, including grease, oil, engine coolant to capacity and (3) gallons of gasoline. Four Speed Manual Transmission 270 Horsepower Standard Engine: 3,592 lb. Four Speed Manual Transmission 350 Horsepower LT1 Engine: 3,654 lb. Four Speed Manual Transmission 365 Horsepower LS5 Engine: 3,812 lb. Close Ratio Four Speed Manual Transmission 330 Horsepower LT1 Engine: 3,654 lb. Close Ratio Four Speed Manual Transmission 365 Horsepower LS5 Engine: 3,812 lb. Close Ratio Four Speed Manual Transmission 425 Horsepower LS6 Engine: 3,577 lb. Automatic Transmission 270 Horsepower Standard Engine: 3,680 lb. Automatic Transmission 365 Horsepower LS5 Engine: 3,860 lb. Automatic Transmission 425 Horsepower LS6 Engine: 3,724 lb. With Turbo Hydra Matic Transmission +88 lb. 350 cubic inch LT1 Engine +62 lb. With Four Speed Transmission +220 lb. With Four Speed Transmission +82 lb. With Turbo Hydra Matic Transmission +36 lb. With Turbo Hydra Matic Transmission +268 lb. With Turbo Hydra Matic Transmission +132 lb. Power Steering (RPO N40) +24 lb. Turbo Hydra-Matic (Automatic) Transmission (RPO M40) +60 lb.